Five cities reveal ‘Ultimate urban utility’ bikes: How does Portland’s entry compare? 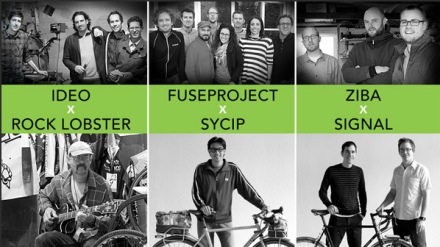 The culmination of an eight-month collaboration between Ti Cycles and Portland design firm Industry will be unveiled tonight as part of the Oregon Manifest Bike Design Project competition. 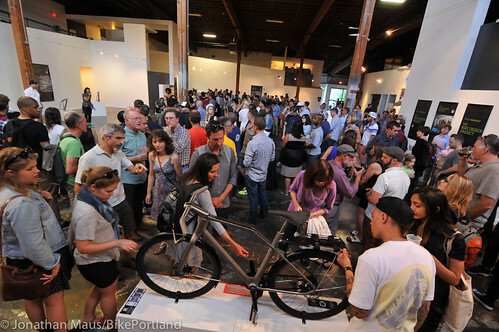 Portlanders will have an opportunity to dwell on the frontier of bicycle design and technology tonight at the Reveal Party for the Oregon Manifest Bike Design Project. Organizers of the Oregon Manifest event are set to release a new book tomorrow. 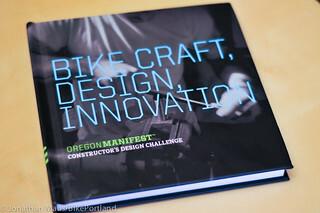 The book, BIKE CRAFT, DESIGN, INNOVATION, is a coffee table quality, 228-page publication that provides an in-depth look into the bikes and the builders of the 2011 competition as well as a recap of the inaugural 2009 edition of the event. This image-rich document of the competition features design details of each entry bike, the three designer/craftsmen Creative Collaboration bikes, on-the-scene shots from the Field Test and judging, and interviews with the winners, judges and the Creative Collaborators. Also included are portraits of the 2009 competitors. will soon be available as a production bike. 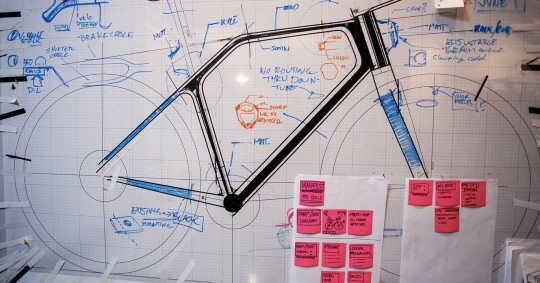 Back in September, when the entries in the 2011 Oregon Manifest Design Challenge competition were revealed, one bike in particular caught my eye. 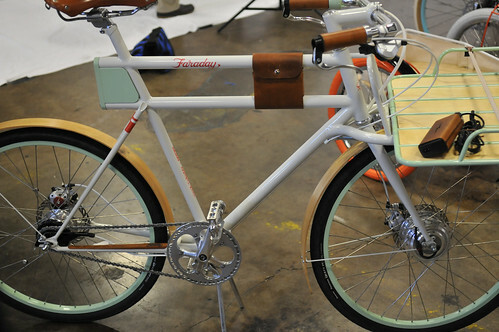 It was the “Faraday” electric-assist bike built by a California-based team made up of design firm IDEO and bike company Rock Lobster. With its drop-dead good looks (inspired by French porteur bikes from the 1940s and ’50s), functional utility features, and super e-tech wizardry, I went out on a limb and dubbed it the “best e-bike ever”. 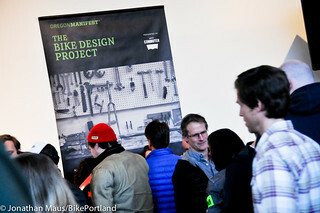 Today I learned that the bike has become the first ever Oregon Manifest entry to go become a full-fledged brand and go into production. According to the Faraday Bikes website, the bike will be available for purchase on July 18th. I haven’t heard what the retail price will be, nor do I know who’s behind the brand; but to me, the larger significance is that this bike could catapult e-assist into the mainstream, and it was born at the Oregon Manifest. A People’s Choice award will be given to one of these entries into the Oregon Manifest challenge. 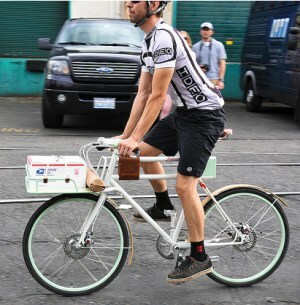 Tony Pereira of Portland-based Pereira Cycles took home top honors for the 2011 Oregon Manifest Constructor’s Design Challenge. The event, which was a competition to design and build the “Ultimate modern utility bike,” concluded today with a grueling “Field Test” competition. 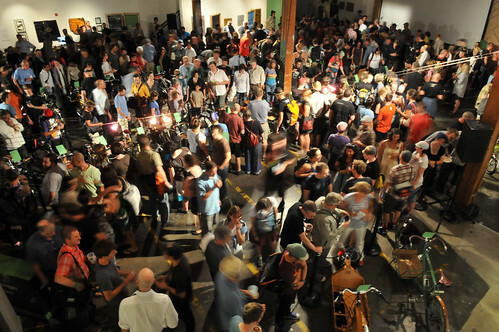 Crowds pack into PNCA’s gallery to see the Oregon Manifest entries. 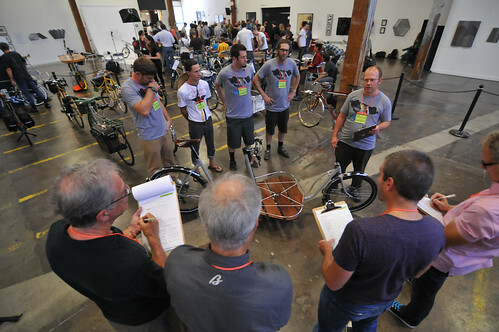 Team Metrofiets explains the highlights of their entry to the panel of judges as the Oregon Manifest competition continues in Northwest Portland today.